Jewish Humor Central: A Joke to Start the Week - "The Golfer"
June is a great month for outdoor sports, and golf is a top choice for pros and amateurs alike. Unfortunately, not everyone has the skills to succeed at the game. Today's joke to start the week is about such an individual and the lengths he goes to in order to play well. 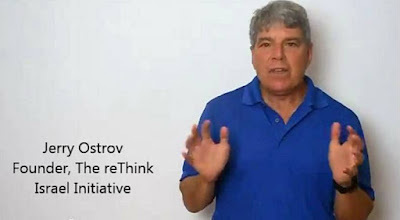 Today's joke teller is Jerry Ostrov, founder of The ReThink Israel Initiative, which operates the Facebook site From the Grapevine. This is so funny. A great way to start the week.